Why is Jagermeister the most popular brand nobody likes? Why do women pay more to be fascinating than they spend on food and clothes? What raises the price of gummy worms by 1000%? And then there’s the most important question of all: How can your brand become impossible to resist? Master marketer Sally Hogshead reveals the surprising answers, providing readers with a framework to fascinating anyone. The word “fascinate” comes from the Latin word fascinare, meaning “to bewitch or hold captive so others are powerless to resist.” Fascination is the most powerful force of attraction, drawing customers into a state of intense focus. This extensively revised and updated edition includes Hogshead’s latest research on the science of fascination. Combining original case studies with award-winning copywriting experience, she gives you the exact words you need to capture the attention of a distracted world. This new edition includes a free assessment tool called the Brand Fascination Profile, which will help you earn attention in any environment. Whether you realize it or not, your brand is already applying one of the seven Advantages Hogshead describes here: Innovation, Passion, Power, Prestige, Mystique, Alert, or Trust. The question is, how can you apply these core Advantages to stand out in a crowded and distracted world? 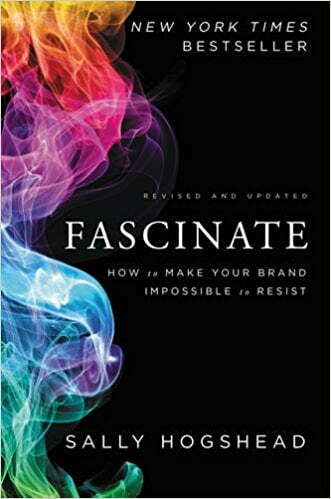 Hundreds of large corporations, small businesses, and universities—including Twitter, IBM, Porsche, and New York University—use the Fascinate system to captivate their customers. Why? The answers are in this book.